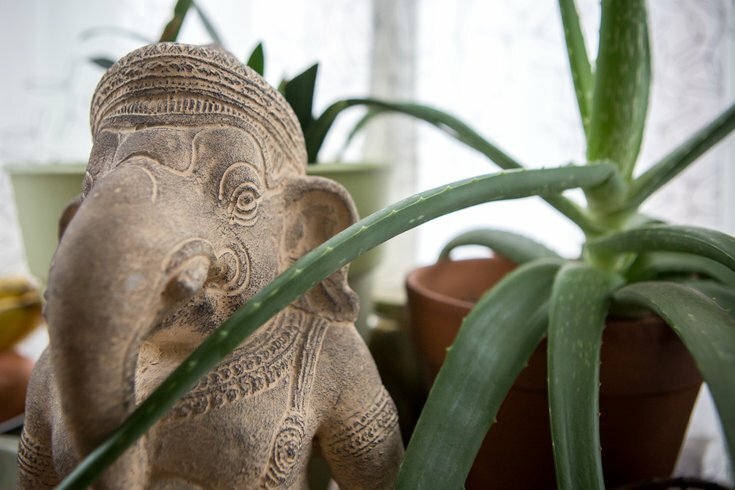 Ganesha, the Hindu god of wisdom, success and good luck. The benefits of yoga for older adults have been well established -- from improving flexibility and strengthening muscles to calming the mind and spirit -- so you can just imagine how much younger bodies can benefit, too. The Three Queens yoga studio, at 410 Monroe St. in Philadelphia, is offering a free class for children ages 6 and up on Saturday, Jan. 5 between 2:30 and 4 p.m. This is part of a nation wide effort to promote yoga to "ground" children and enhance physical, emotional and mental health. Three Queens also provides training for yoga instructors interested in including children in their practice as well as weekly classes devoted to kids. Space is limited for the free workshop for kids. You can sign up here.